When it's cold outside and the holidays are upon us, comfort food consumes me. I want it heavy, I want it sweet, I want it creamy, I want it fatty, and I want a lot of it!! Mac and cheese, stews, pies, cookies, and let's not forget the extra large bottle of Baileys I buy around this time each year... These are a few of my favorite things. But sometimes I need a break from the heaviness of the holidays. After all, Christmas is just right around the corner, and I want a full appetite for the big day! With it's subtle holiday ingredients, this salad reminds me of Christmas without bringing all the calories and fat I'm used to having this time of year. The apples and ginger give this salad a little holiday sparkle, and something about the licorice flavor of the fennel makes me think of Santa and sleigh bells! 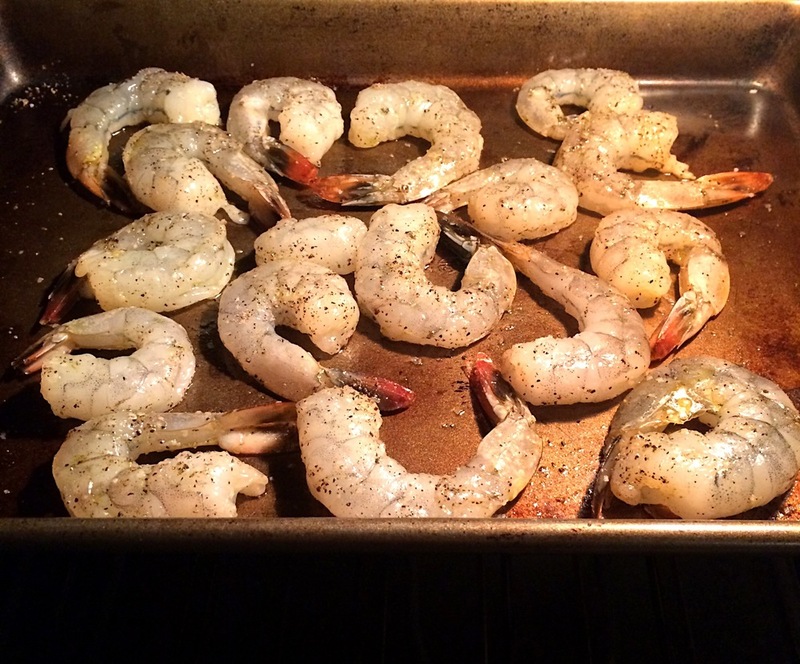 Toss shrimp with 1 tbsp olive oil, 1 tsp salt, and 1/2 tsp pepper. Roast shrimp for 8-10 minutes or until they just turn pink. Thinly slice the bulb (bottom white part) of the fennel stalk. Cut about 1/4 cup of the fronds (herby green part) from the fennel and roughly chop. Core apple and cut into fourths. Using a mandolin, slice apples very thin (if you don't have a mandolin, just slice them with your knife as thinly as you can). In a salad bowl, toss the apples with the juice of half a lemon (this will keep apple from browning). 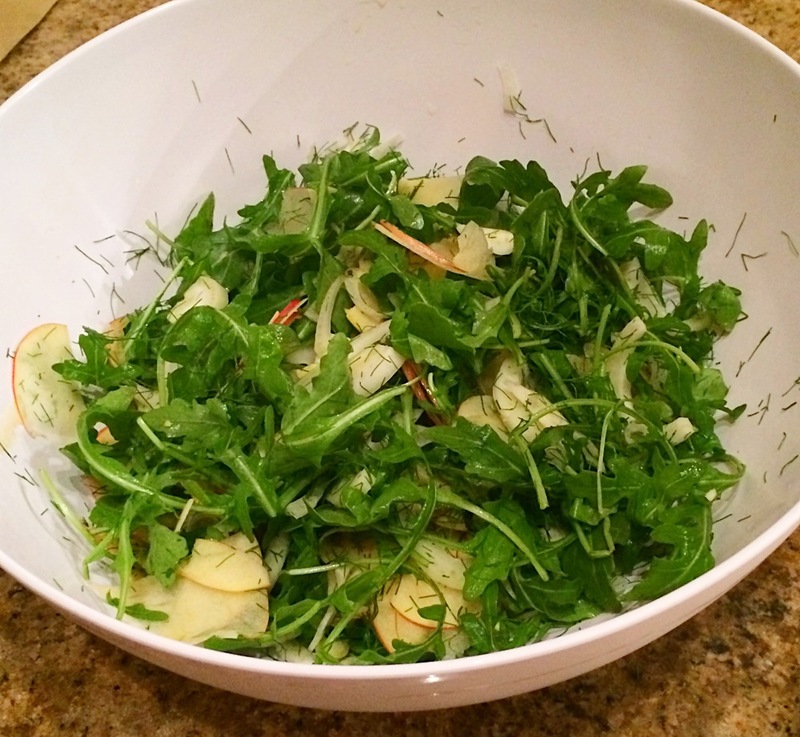 Add the fennel and arugula and toss together. Make the dressing. In a small bowl, add juice from the other half of the lemon, ginger, garlic, honey, and a dash of salt and pepper. Drizzle in 1/4 cup olive oil while whisking to bring it all together. Taste and add more salt if needed. Toss the dressing together with the salad. Top with the shrimp.